Just over seven days ago, the Buckeyes made a scholarship offer to Antwuan Jackson, the defensive tackle from Blinn Junior College. 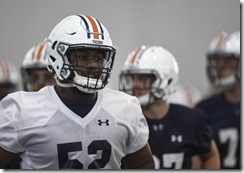 Jackson was a four star rated prospect, who moved from Auburn after his freshman season as a redshirt. As was stated at the time, Jackson - who is six foot three inches tall and 305 pounds - gave serious consideration to Ohio State prior to signing with the Tigers. He made a visit officially to the 2015 17/14 defeat to Michigan State. He developed a rapport with Larry Johnson, the defensive line coach at that time. 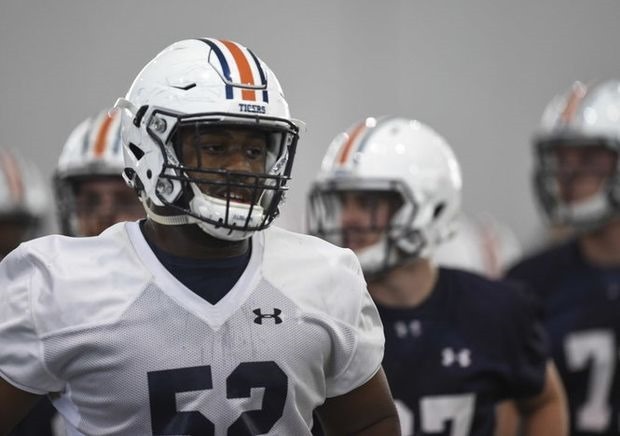 This is why Auburn prevented a potential transfer to the Buckeyes --- along with other SEC programs (including Georgia Southern, Mercer and Clemson) --- once he declared his intention to depart the program in May. Fortunately, Jackson stayed on at Blinn once his appeal to overturn the restrictions was quashed. And similar to Kendall Sheffield's previous recruiting cycle (Sheffield is a cornerback for Ohio State), he can sign a Paper of Intent with whichever school he chooses this December. "It's been extremely difficult for myself and my father" Jackson explained to journalists. "Losing my appeal hit me hard, because they are saying I can not visit other schools away from the conference. My father was worried that I would not get into school before the fall, so coping with that was stressful for me as well". Jackson did not elaborate on why he left, although many have suggested he was dissatisfied with being redshirted in his freshman season.